Lock those brows up with our styling gel brush! Shape, define and shine in one swoop with this lightweight, long lasting clear formula. The click brush applicator releases the perfect amount of gel to get your brows #onfleek. Twist the base of the brow pen to release clear gel onto the brush. Apply the gel to your brow with ease thanks to our mess-free applicator. Use either as a top coat or over an Averie’s Brow Pencil for brows that are guaranteed to stay in place. What is CHRISTA’S BROW GEL? Lock those brows up with our styling gel brush! Shape, define and shine in one swoop with this lightweight, long lasting formula. The click brush applicator releases the perfect amount of gel to get your brows #onfleek. Plus, the finish is designed to be a perfect compliment to Averie’s Brow Pencil. Take your brow game to the next level with this match made in heaven! 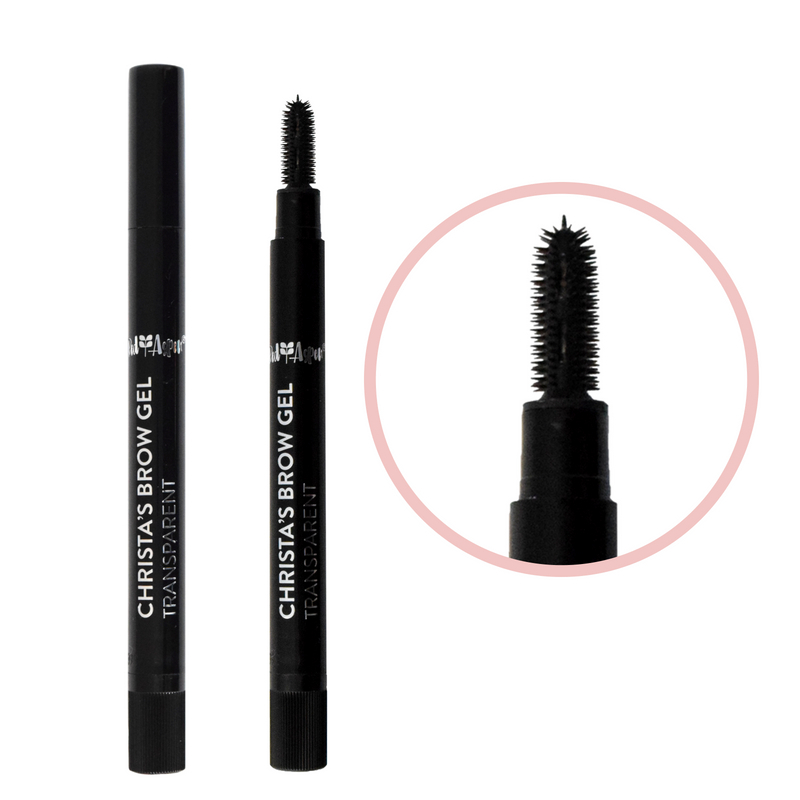 How do i use CHRISTA’S BROW GEL? Twist the base of the brow pen to release gel onto the brush. Apply the gel to your brow with ease thanks to our mess-free applicator. Use either as a top coat or over an Averie’s eyebrow pencil for brows that are guaranteed to stay in place. WHAT INGREDIENTS ARE IN CHRISTA’S BROW GEL? WHAT IS CHRISTA’S BROW GEL NET WEIGHT? TELL ME WHAT MAKES CHRISTA’S BROW GEL SO AMAZING? WHAT ARE THE BENEFITS OF CHRISTA’S BROW GEL? Where can I purchase CHRISTA’S BROW GEL? Can CHRISTA’S BROW GEL be purchased using Pop Up Rewards? Yes, you may purchase Christa’s Brow Gel using your Pop Up rewards. Can CHRISTA’S BROW GEL be added to a loyalty box? Yes, the Christa’s Brow Gel can be added to a Loyalty Box.